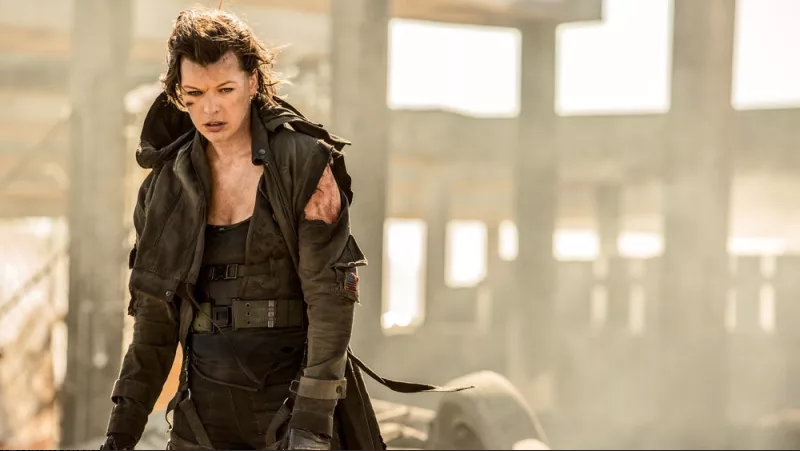 Milla Jovovich in Resident Evil: The Final Chapter. But what type of Monster Hunter adaptation can we expect? An ordinary man in a dead end job discovers that he is actually the descendant of an ancient hero. He must travel to a mystical world to train to become a Monster Hunter, before the mythical creatures from that world destroy ours. The central characters are very relatable American characters. You take a person from the ordinary world who thinks they’re in a dead-end job, they have no future, they feel like their life’s a failure, it’s going nowhere, like Keanu Reeves in The Matrix. It’s about a normal American who gets dragged into this parallel world, this Monster Hunter world. Then eventually the parallel world ends up coming to our world. So you have the creatures from the Monster Hunter world invading our world. Obviously, this has probably changed since then, especially with Jovovich coming on board, but it should shed light on what to expect. That, and how those Resident Evil movies turned out.